Winter can see us wanting to make the most of the light we do have. It’s often a time when we start to think about how we can bring more light into our homes. Perhaps by adding a rooflight – or else with a glazed extension that also incorporates one into the design? All season glazing solutions mean looking past the winter period and designing for year-round comfort. A glazed extension or one that utilises glazing as its prime building component, is after all, a permanent extension of your home. It needs to function just like any other room in your house. And this means not just thinking about designing it to allow the maximum amount of light to flood the interior. With the trend today for designs where one area flows into the other creating the much-desired kitchen/living/entertaining space or the ‘hub’ of a home, the addition of any form of glazing allows for the creation of a natural ‘flow’ – be this between areas of the interior or between the home and the garden. When it comes to introducing light from above, what are your options? With rooflights the sky’s the limit in more ways than one – even if you live in a conservation area or have a listed or period property. Traditional lantern rooflights not only bring in the light but embrace period style combined with today’s modern manufacturing and glazing techniques. You can also opt for conservation rooflights which sit flush to the extension roof and therefore have less impact on the external lines of the building. Vision AGI also offer a bespoke design service. We can create one-off bespoke rooflights that take into consideration everything from your roof space, the area below, the elevation of your extension and any planning or conservation restrictions. 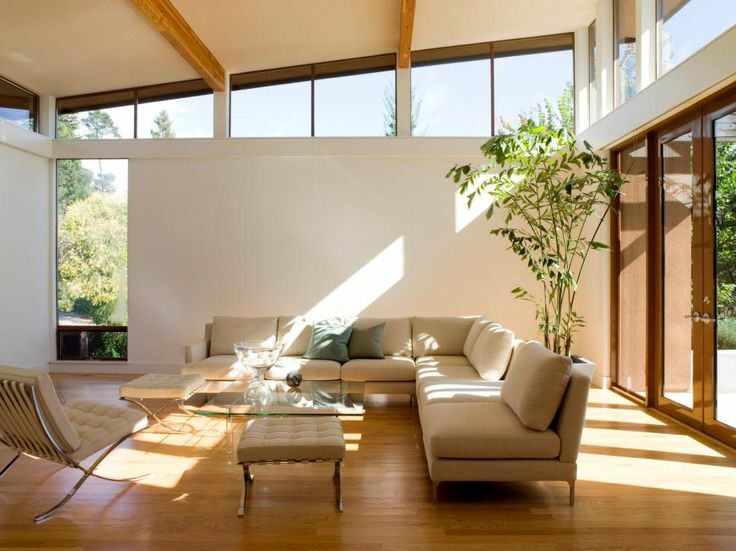 Another way to bring more light into your extension year-round is to add clerestory windows. These can be installed above a feature such as bi-folding doors offering access to the outside as a means of bringing in additional light. Or they can function along with rooflights, as a way to bring more light into your interior without sacrificing privacy. This can be an important consideration in inner city and terraced homes. Ready to talk glazing for all seasons? Vision AGI are here to answer your questions on anything from which rooflight may be right for your home to planning an extension. Explore our gallery and case studies on our website for more illuminating ideas for creating that perfect four season space. Because when it comes to bringing the light in all year-round #wehavethevision.